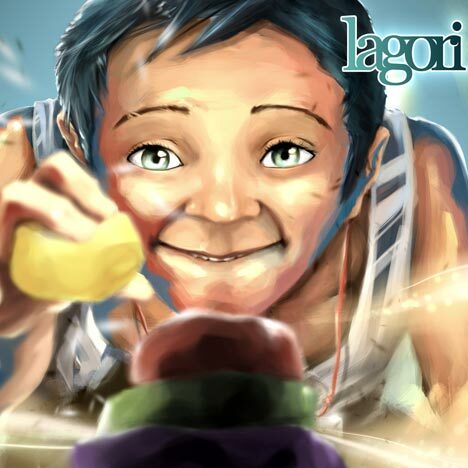 The self titled debut album by Lagori reflects the face of the modern Indian youth, by combining Indian classical melodies and inflections with Rock music, resulting in an interesting mix that is high on energy, while being catchy and soulful at the same time. While we had a blast composing and compiling this album, it was also a crazy roller-coaster ride involving insanely loud jam sessions, late nights in the studio, ridiculously early morning rehearsals, missed dinners, foregone dates, mood swings, cranky fights with each other and making up over beer — and not to mention missing deadlines! – Our families, for not putting us up for adoption! – Hriday for being more than co-operative and answering calls at any point in time and making umpteen number of changes in the mixes. We’d specially like to thank Gaurav Vaz our manager for helping us right from the start of our journey to where we are today. We love all you guys! There is no way this album could have been made without any of you. Thank you for believing in us and for being there! Photography – Vishwas Avathi, Neil Dsouza, Almeen Arif, Panidhar Revanur , Martin Arvind, Susnato Chatterji and Whats the Scene. All tracks composed by Lagori. All rights reserved. Unauthorized copying, hiring, lending, public performance, and broadcasting of this record are prohibited.